LEAT SpA is a Globavia Group company. It is controlled by Globavia SpA (83,7%) and by Global Aerospace Services Inc. (16,3%). LEAT provides design, manufacturing and qualification of avionic equipment, new product technology insertion, upgrading or replacement of obsolete equipment, MR&O services and calibration services. As an EASA 21J certified company, LEAT is also able to design minor and major changes of avionic configurations, interiors and structural repairs on small/large aircrafts. Thanks to its solid experience and perfect understanding of client’s needs, LEAT can respond to the customers with tailored and timely solutions. LEAT was founded in 1972. LEAT started its activity in overhaul, maintenance and upgrade of communication equipment, instrumentation and audio recorders for military avionic applications. Since the beginning, LEAT core business was focused on maintenance, repair and overhaul of avionic equipment and navigation systems in compliance with EASA Part 145. In 1987, LEAT was acquired by Ciset SpA. In 1992, Ciset merged with Vitro Selenia generating Vitrociset SpA. LEAT has been part part of the Vitrociset group for many years. Since August 2010, LEAT is part of the Globavia Group. Keeping a strong focus on its original activity, LEAT current business is also represented by design, manufacturing and qualification of avionic equipment and/or systems; new product technology insertion; upgrading or replacement of obsolete equipment and product enhancement. 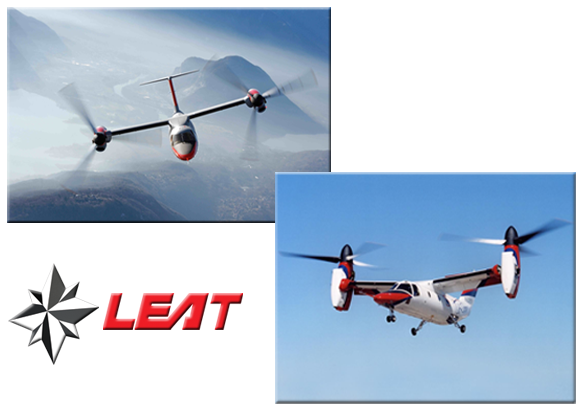 Last but not least, LEAT is involved in some important R&D programs for military and civil application.